Cast your minds back to my #livelagom personal shopping experience and you might remember I bought a couple of packs of tea towels, in limited edition VINTER 2018 festive colours. Which just happened to match my mum's kitchen decor. 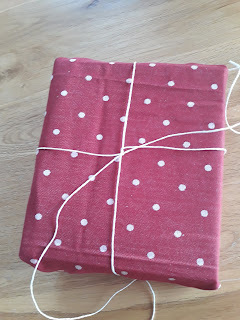 And a pack of paper twine. 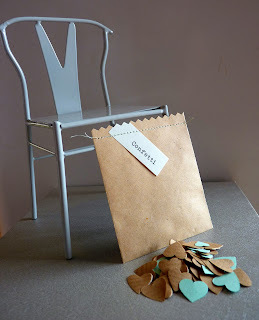 Choose a gift - this idea works great with square or rectangular gifts like books or gift boxes. Bonus points if your packaging can be reused, recycled, or avoids single-use plastic. 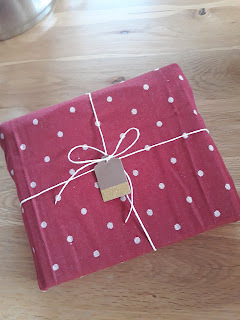 Centre your gift on the tea towel and wrap it neatly around. 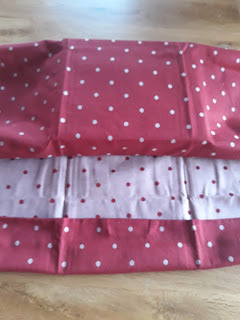 For extra crispness, you could iron the tea towel before you do this bit, or like me, you could skip that step. 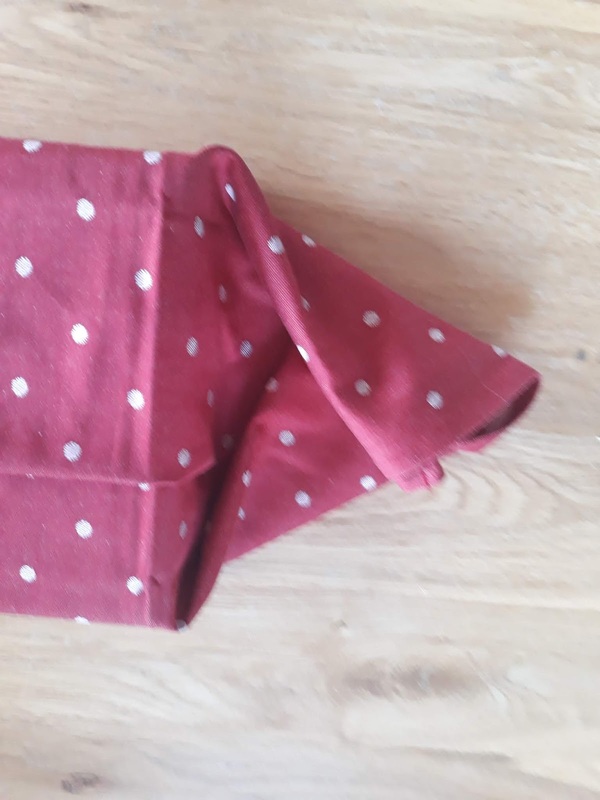 Fold your corners in, just like you would if you were wrapping with paper. Grab your (IKEA, of course) scissors and that fantastic paper twine. Cut a length that will pass around your package at least 3 times. Pass your twine under the front middle of your package, and then cross it over on the back, to hold your corners in place. Then flip it over carefully. 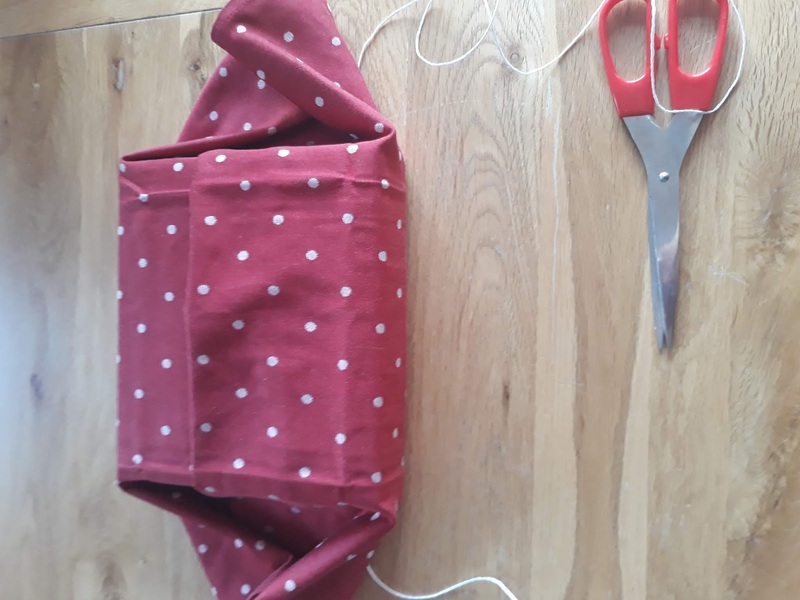 Tie a knot on the front to hold everything together. 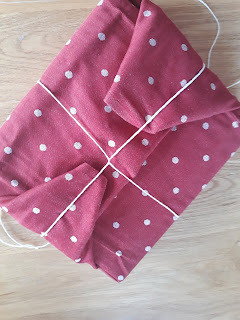 You could then add one of my faux glitter gift tags (click through to my shop here) and tie the front with a bow - any excess twine you snip can be saved for future projects, or dropped into your recycling bin. I was in Edinburgh yesterday to do my civic duty and once my appointment was over, I decided to spend a few hours walking around the city which first brought me to Scotland in the mid-90s. I knew then that I'd made the right decision to focus on shopping independent and sustainable as I made my way around town - locally-sourced coffee, front and centre, in the heart of town. I set off up the Mound headed for Victoria Street, the inspiration for Diagon Alley in the Harry Potter books, and a known indie shopping location - with everything from cheese (I J Mellis) to cheesy music on offer (Yes, we are talking about Espionage and yes, that's quite enough about that!). The window displays here are great, I mean, you wouldn't get something like this in the window of M&S or Primark, would you? And is it me, or are vintage board games having a moment right now? 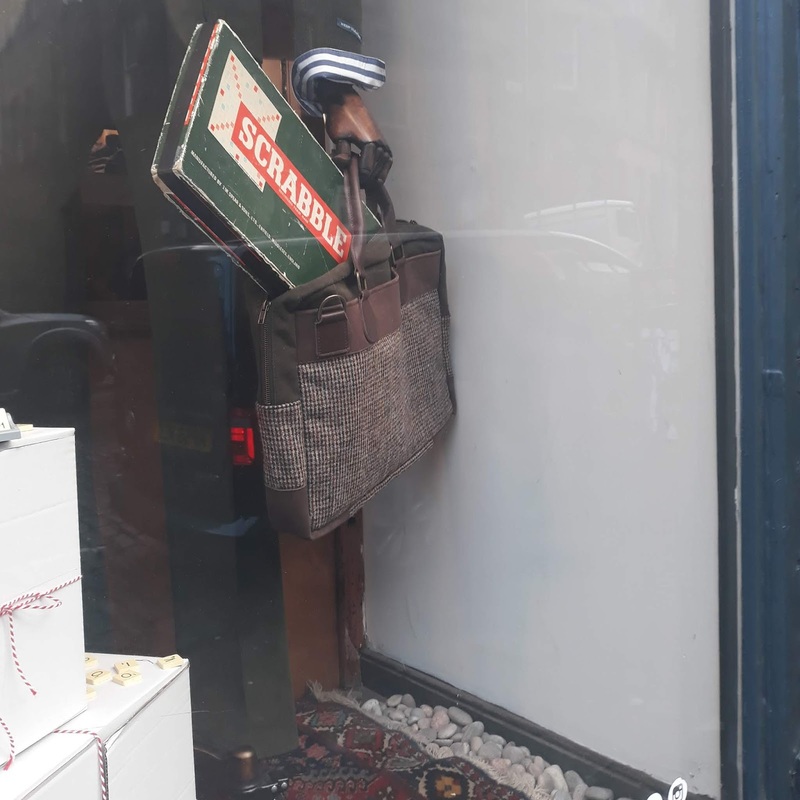 At the foot of Victoria Street, in the Grassmarket, is an Edinburgh institution, vintage clothes emporium Armstrong's. There are several branches around the city, and this was one of my favourite places to pick up an outfit for a Saturday night when I lived here. The Grassmarket is a great spot for independent dining and drinking, including Petit Paris, which I finally got to visit earlier this year after years of admiration from afar. It was so worth the wait! 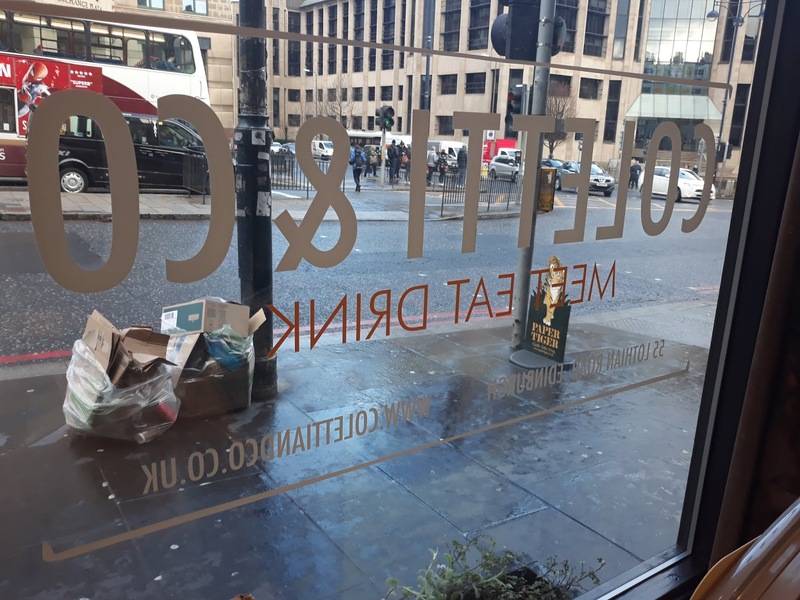 But today I'm going Italian, with a breakfast trip to Coletti & Co on Lothian Road, a quick scoot along King's Stables Road (love that name!) 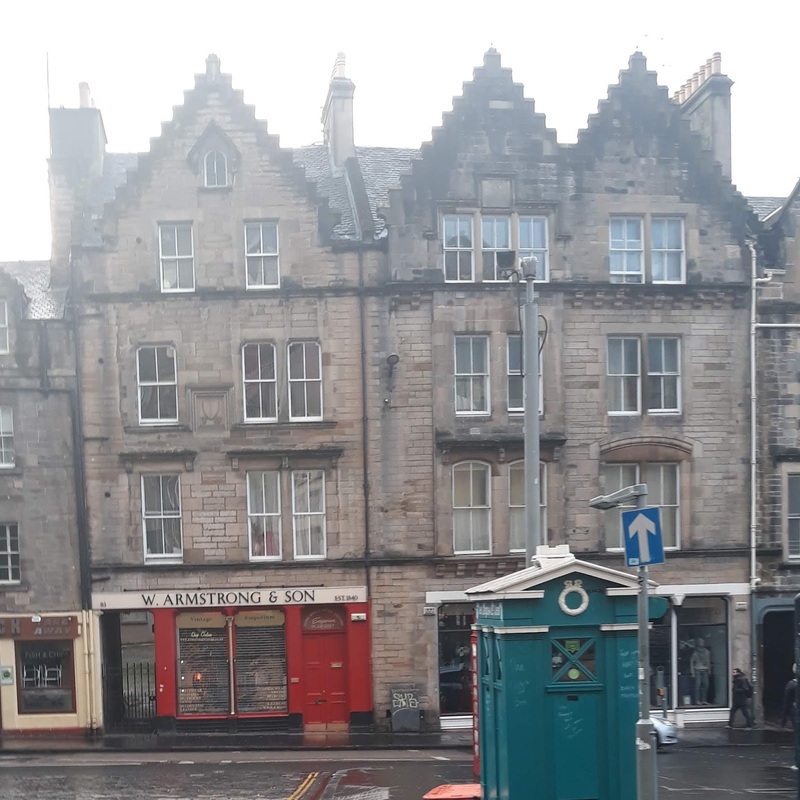 from the Grassmarket. Recently as part of my #livelagom project with IKEA, I picked up a lot of these tight seal jars and I was thrilled to see one in action on my table. I just noticed my knife there, oops. That was a cheese and chilli savoury scone but I was starving and it was so tasty I demolished it in short order. 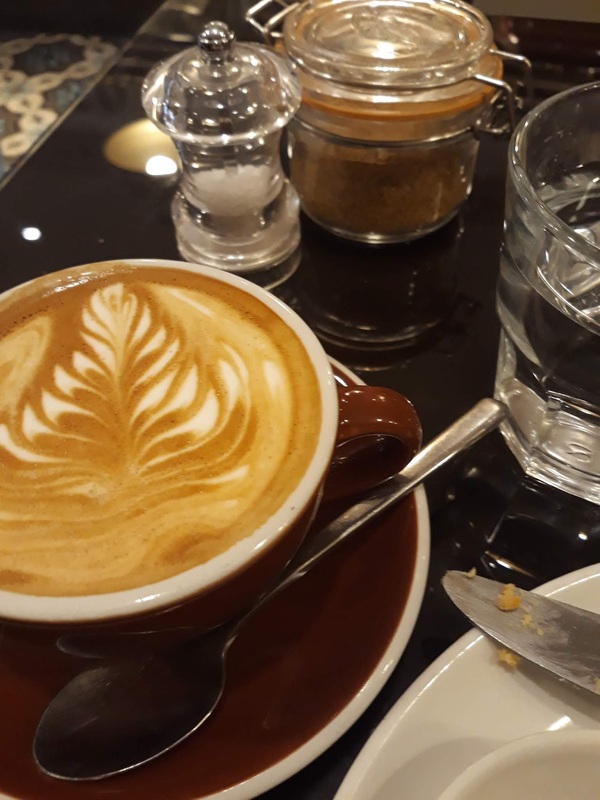 Look how nice my coffee looks, it tasted great, too. Anyway, I don't take sugar in my drinks but I do get annoyed at the wastefulness of sugar packets (and how tempting they are to tiny hands), so I loved this extra detail. It also reminded me that a zero waste supermarket has just opened not too far from here, on Morrison Street, for all your refillable shopping needs. 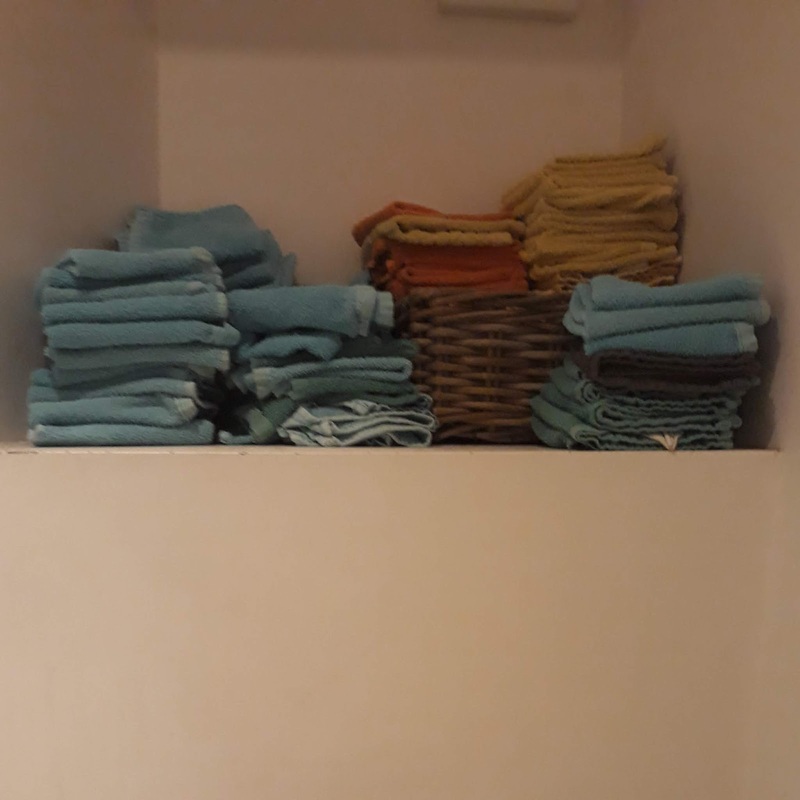 But back to Coletti & Co - I was really impressed in the loos when I saw a stack of flannels in place of paper towels or electric hand dryer in the bathroom. From a new-to-me place to a very not-new-to-me place, Paper Tiger! I've been shopping at Paper Tiger since the mid-90s. It's an absolute institution as far as I'm concerned, and I try to get a new calendar or Christmas cards or notecards or gifts from here every year. 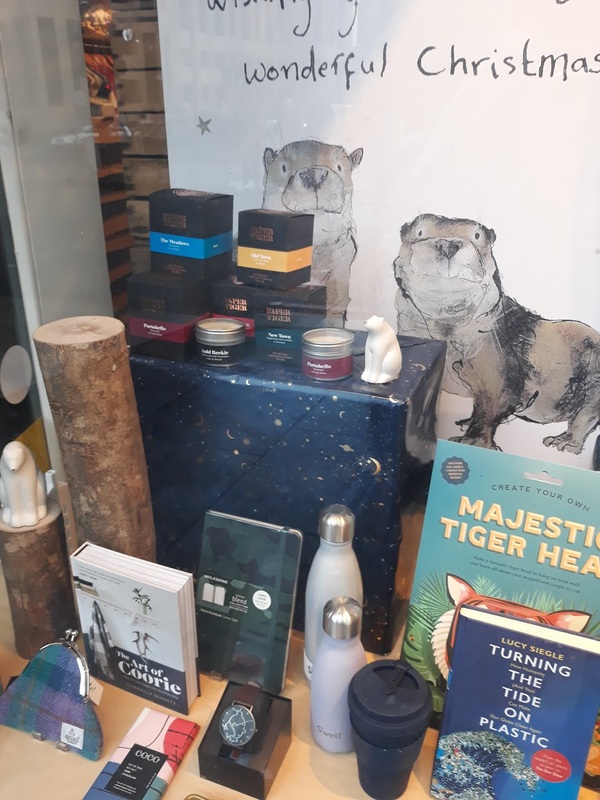 I love the collection of local candles in the window, but do think they could go one better and actually try to capture the essence of Edinburgh a bit more - imagine if the Meadows candle actually smelled of peaty woodsmoke and grass lawn, for instance? Inside the shop itself there are also plenty of books on sustainability and how to reduce your environmental impact. I picked up a box of Miffy Christmas cards and continued along Lothian Road. 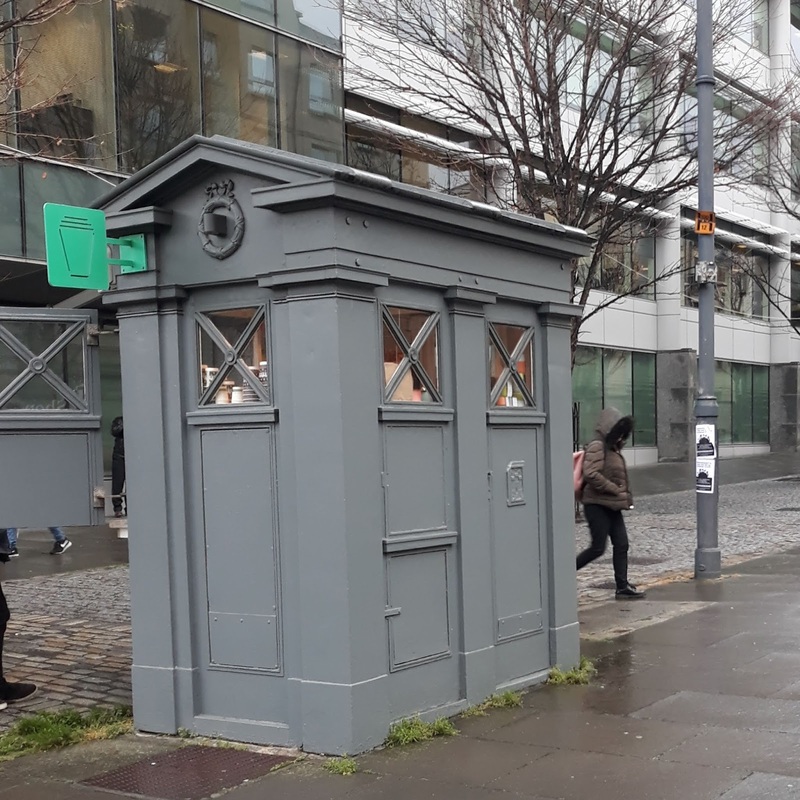 And along to Lauriston Place, where I snapped this Police Box, like many in the city it's now a spot to pick up a takeaway coffee. 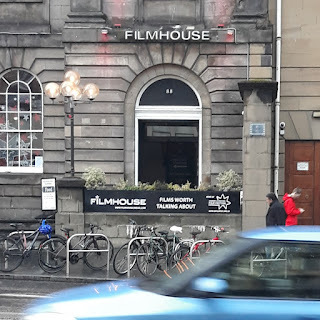 I continued along to Forrest Road, where I snapped another independent Edinburgh institution, Potterrow, the home of Edinburgh University Student Association. Entirely separate from the NUS, this was always a bit of a bind as an undergrad visiting other friends at universities around the country because I couldn't access the same discounts on services as they could, but with hindsight now, I value that independence and the benefits of negotiation and organisation from an entirely locally-focused stance. 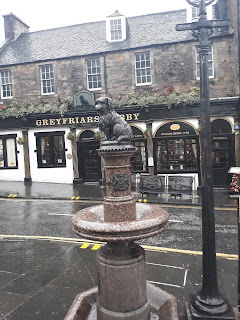 And then I made a turn up towards George IV Bridge, passing Greyfriars Kirkyard, the Greyfriars Bobby pub (another favourite student haunt) and the statue of Bobby himself. 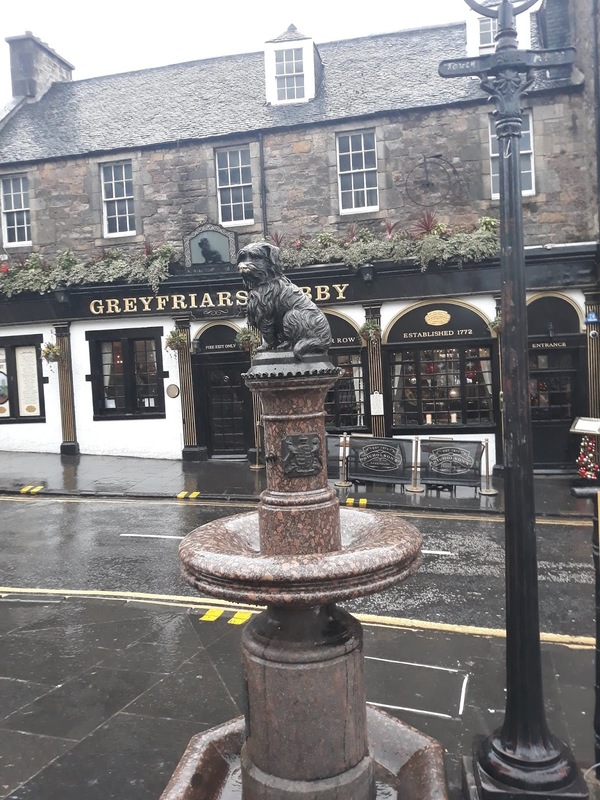 If you're ever here, visiting the city, please please please don't rub his nose 'for luck'. It's one of the most pointlessly destructive things you can do, if you want to 'earn' good fortune, do it by being a decent human being and don't vandalise our statues. And don't get me started on what they do to the bull statue at the bottom of Broadway in NYC, it's making me cringe just thinking about it. Keep your hands to yourselves! So my first disappointing indie experience of the day came from a cafe just a little further along from this statue. I'm not going to name and shame, but I did walk out shortly after being seated due to a complete absence of customer-focused thinking. 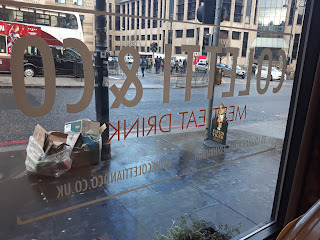 Here are some personal bugbears - I was seated at a bar area, on an uncomfortable high stool, with a lovely view of an internal wall, next to someone who clearly did not want me sitting anywhere near her personal space, and due to the layout of the area, I was practically on her knee. This made me feel deeply uncomfortable. The place was really busy and I just got the impression straight away that I was going to be there for two plus hours when I really just wanted a pitstop. 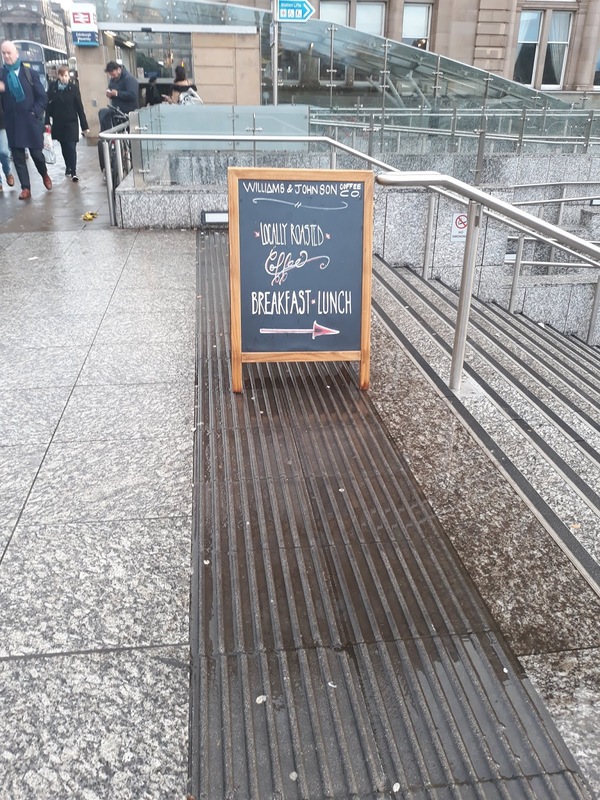 It was almost lunchtime and the breakfast menu was still being handed out, even though they had stopped serving it. If you wanted a coffee and cake, you needed to leave your seat, go over to the counter, choose a cake but then alert a server from your table to the fact that you wanted cake, and then indicate which one you want. You could hardly get space to sit down in the first place, so the idea of trying to wander around the place and grab the attention of someone was too much. Also the staff had different roles, so there's a seating person, a greeting person, a taking orders person and a paying person. No idea which is which, and there was a lot of 'oh that's not me, there'll be someone along soon to help you' going on. Not helpful. Not relaxing. Also I had just had a scone an hour and a half earlier so really didn't want to eat, and there was no sign of whether there was a minimum on card payments. The whole place was chaotic, cramped, poorly laid out and managed, just too much like hard work. The menus looked like a GCSE Business Studies project. I was only in there to get out of the hailstones. Life is too short. I walked. Just across the road from where I was, the National Museum of Scotland, which I visited to see the excellent Rip It Up exhibition just recently, so that put the idea in my head of having a cuppa in a museum instead. 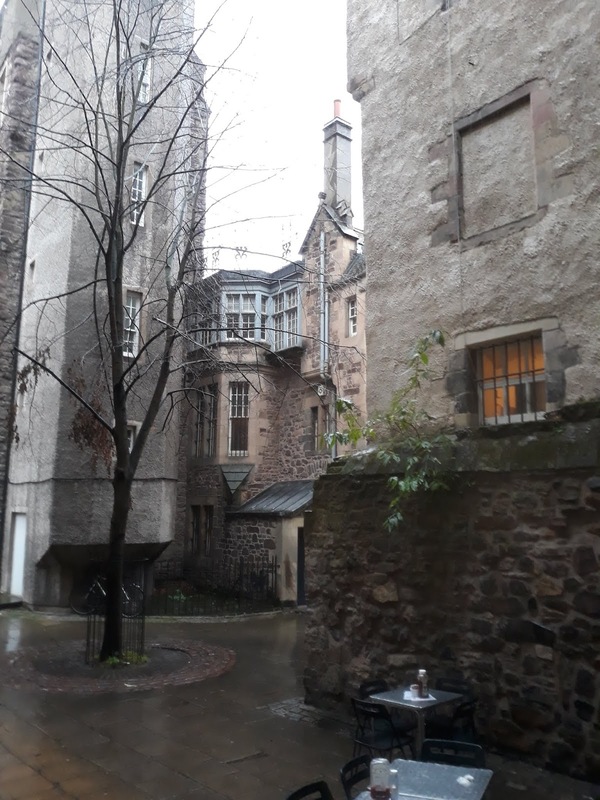 There are so many museums in Edinburgh, lots of them free to enter, and I like to give something back whenever I can, so I decided to pop along a vennel to the Writers Museum just off the Royal Mile. And then I got distracted by my favourite pub, the Jolly Judge, which had another 15 mins to go before it opened, so lunch there was out. Look at this courtyard, though, so pretty. And then I realised I was soaked through, tired, thirsty and needed tea, stat. 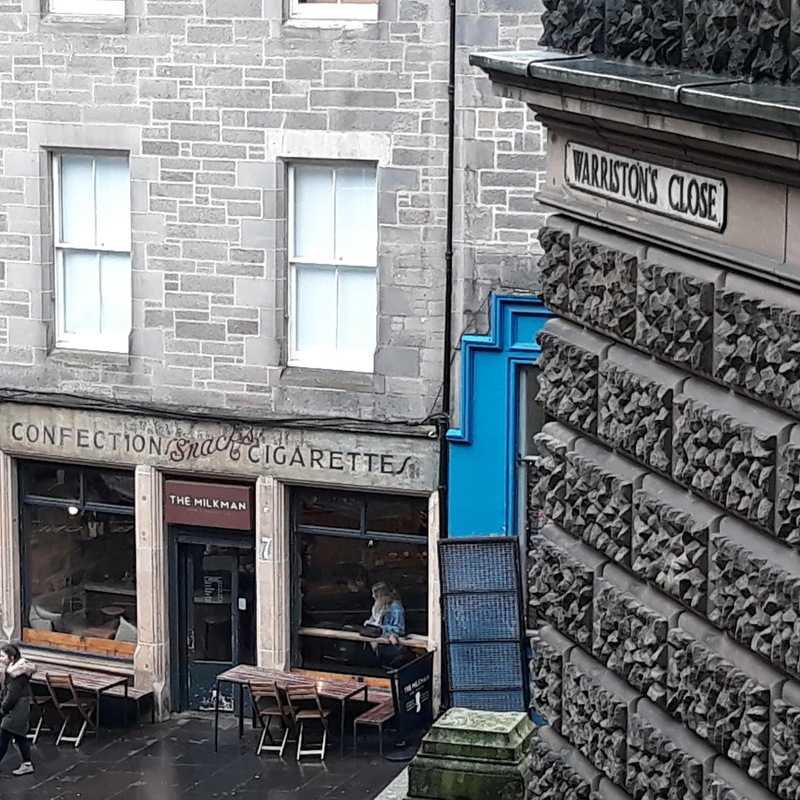 So I continued along the Royal Mile to the Real Mary King's Close, a tourist attraction which I never realised had a cafe at the back. A big pot of tea was less than £3, so I was really chuffed with my decision. I'll probably talk about Mary King's Close another time, as I've been visiting since before it was open to the public, but for now I wholeheartedly recommend the cafe and little shop there, too. 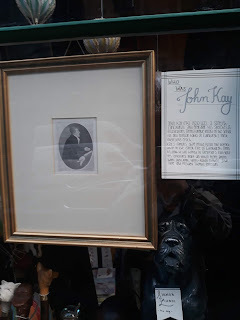 The museum shops around the city are really excellent, and complement the independent offering perfectly. If you're looking for a souvenir of the city, or a book on niche aspects of its history, museum shops are the answer! 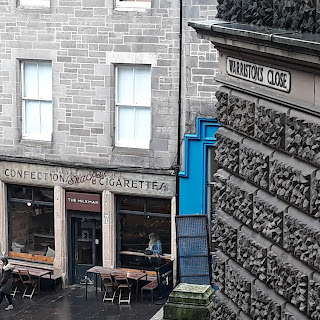 I skipped Cockburn Street, which is a real treasure of independent shops, cafes and pubs, to cut through one of the stepped closes down to Waverley Station. I spied this cafe down at the bottom of Cockburn Street, and later found out via Instagram it belongs to a friend's cousin. 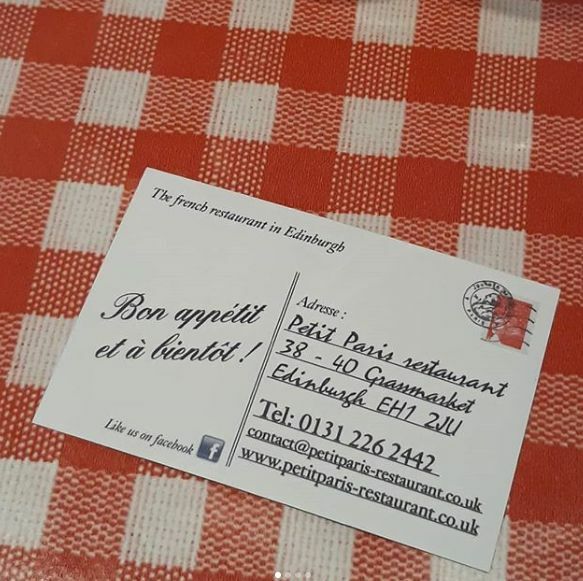 So I will definitely pay it a visit next time I'm in town. I was instantly hooked by the ghost sign on the outside, I love these, and spotted several more over the course of the day. The Milkman received a nomination for coffee shop of the year 2018 in the Scottish Independent Retail Awards. It definitely looks like one to watch. 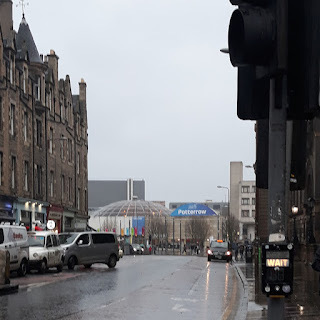 I wanted to head over to Rose Street, which is another hotspot of lunch places, bakeries, and shops, to find somewhere cosy to eat and do a bit of writing. Sustainability was brought to mind when I saw a sharp contrast in how chains and indies do things. 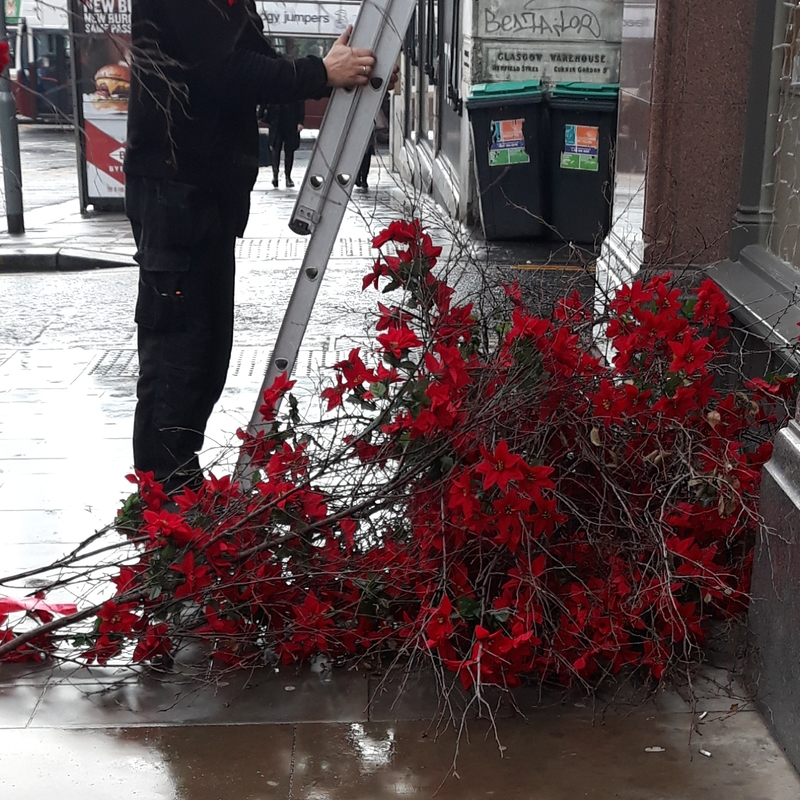 TopShop staff were busy inflating shiny foil balloons for their Christmas window display, and the independent traders next door were attaching a natural and sustainable alternative to theirs, from what I could gather, brought along from the florist just around the corner. This made me feel ridiculously festive all of a sudden. I was really intending to make it along to Social Bite for lunch but it was further along Rose Street than I remembered, and I was getting cold and hungry and my feet were wet and sore from walking through the hailstorm earlier. I decided to call it a day, but will be back again soon. City of Edinburgh council gets a bad press on lots of issues (trams, bins, the Christmas market) but one thing they are doing really well is supporting independent traders and making sure there is room for everyone, with the flagships of Princes Street and George Street, and a real sense of community in different areas across the city. I didn't even get the chance to talk about the Shore, Morningside, Broughton Street and Elm Row, Comely Bank and Stockbridge - all of these are home to plenty of independent shopping, eating and drinking options. I'm not really a recreational shopper, but I did enjoy my morning exploring and reminiscing, and would definitely consider doing all of my Christmas shopping with the indies of Edinburgh. 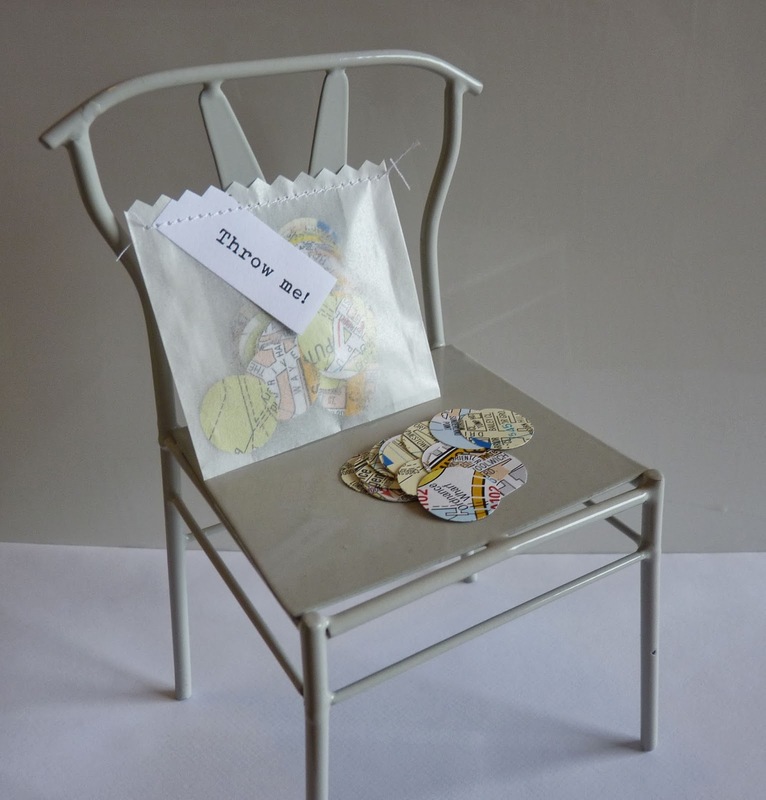 So that'll be five years and a couple of weeks since the last time I blogged, then? I have been meaning to get back to it for a while, but the right time never came... until now! I kind of lost the blogging bug after I went back to my day job full time - the darker winter nights made it impossible to get even half good photos, and I had a massive tech issue - my phone and my blog and my social media were all on different systems and platforms, and I think my brain broke a bit from trying to manage all of them. So what's changed? Well, I have a project, and putting it on here is a way of motivating myself but also keeping a record of how it's going, the challenges I face (and hopefully overcome) and if anyone's still reading (or picking back up with the reading), get some feedback and input from you all. After five years of working pretty much flat out, I'm trying to take a bit of a breather, and get various parts of my home and working life in order, but also to continue to share resources and thinking on some of the things I'm passionate about, namely sustainability, creative reuse and supporting small, ethical businesses. I was asked by IKEA Glasgow to join their #livelagom project this year. Lagom roughly translates to "just right", and it really appealed to me because nothing has been "just right" with my home for a while. Well, except the people and pets in it, of course. But in terms of having a home that is welcoming, for its inhabitants and the occasional day time or overnight guest, we're just not there at the moment. We have four bedrooms at home, two of which are used for actual sleeping in, and two of which are meant for working in. Unfortunately my study is the larger of the two, and is the closest to the front door, which means it has become a dumping ground for 'things that need sorting out' - which is great, if you actually have time to sort anything out. Then multiply that by five years of 60 hour working weeks... and the contents of two lots of parents' houses, and you can see how things might get a little out of hand. 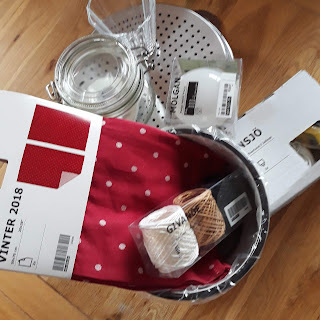 So after a pretty terrible year, I am ready to shift gears, prioritise myself and the way I want to live, and this seems like a perfect time to get started, with the support and encouragement of IKEA and my fellow #livelagom-ers too. We had our induction at IKEA Glasgow a couple of weeks ago, and last Friday I had my personal shopping session with the lovely Joanna, who helped me select products which have been produced with sustainability in mind. So I spent a grand total of £99, and I focused mainly on lighting... which I'm saving for another post another day, just out of shot is a floor lamp for what will become a functional guest room/office/workshop for me. The lighting is important because a) I have terrible eyesight, b) the room has to work in a number of ways, so movable task-oriented lighting is as important as fixed lighting, and c) the main point of this exercise is to be more sustainable, so I wanted to make sure I could use low-energy, high-performance bulbs, too. But more about that next time. For now, I want to talk to you about the glassware in the photo. I bought a set of 8 of the tumblers on the right, from the Vinter 2018 range. These were a gift for my friend Wendy, who runs PQ Soy Wax Candles based in York. 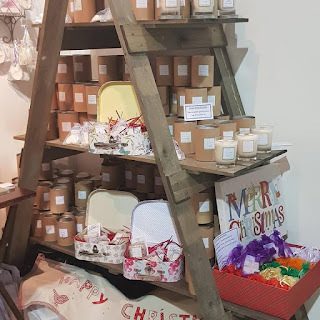 She was here at the Country Living Christmas Fair in Glasgow at the weekend, and I dropped off a selection of vintage and surplus glasses and jars for her to use in her candle-making. I spied these tumblers and I thought they would make the perfect container for a special range and added them into the boxes of glassware I was passing on, as an extra surprise. They were very well-received, and Wendy kindly gifted us a couple of candles in exchange. We've already tried out her It's Christmas candle - the fair put us right in the mood - and the soy wax burns cleanly away from the jar, so I know we'll be able to use the glassware again when it's finished. So far, so sustainable. Thank you Wendy, and thank you IKEA for bringing us together in real life - we've only ever chatted online before! I had two days off my day job to do various life admin stuff, some of which included getting things finished that I'd been working on for ages. Some handknitted baby blankets that I planned to donate to a different charity in London (but ended up sending to Woolly Hugs because they sent me their mailing address in double time, before I could lose the email, which is what happened the first time around when I know I saw a link for where to send them on facebook but couldn't find it again by the time I'd woven in all my ends). My Oh Comely care package is on its way to Liverpool in the post. 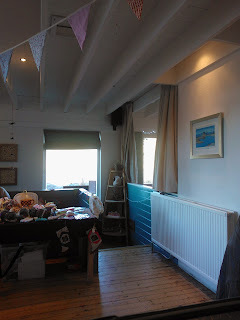 I took part in the Inver Cottage craft fair on Sunday (I had the fish and chips). I even went to see a gig last Wednesday night in Edinburgh, by Public Broadcasting Service. 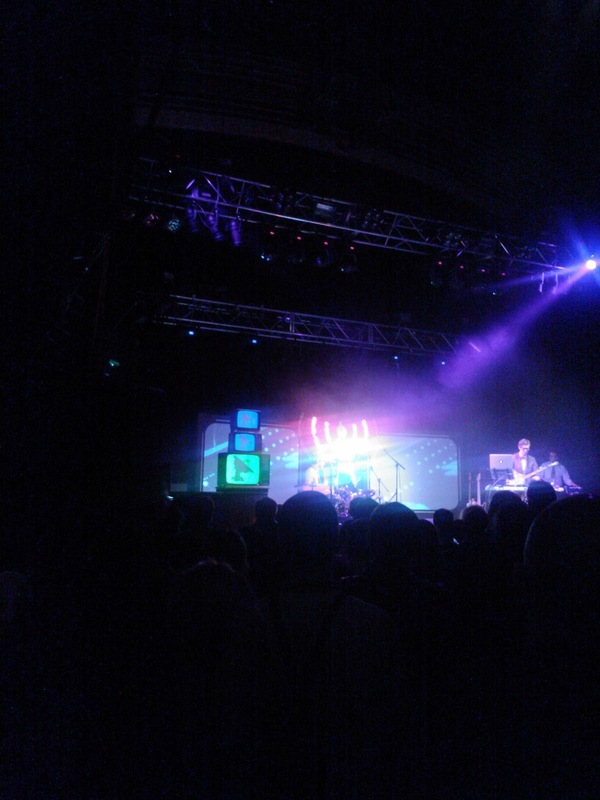 It was one of the most intense and entertaining gigs I have ever been to (and in my previous life as a music journalist, I've been to a lot). I enjoyed it so much, I almost had a review drafted out in my head on the way home in the car, I may work it up if I get five minutes in the next couple of weeks. But for now, I'll say that it was a very good time, and the people watching was as much fun as the show itself. And I was able to impress with my newfound t-shirt printing knowledge to point out to my friend which shirt was the best value for money i.e. the most expensive to produce but still priced the same as all the others. I love me a bit of insider information! I can't believe I haven't blogged in two whole months. They have been two whole super-busy months, mind you. Here's a catch up on what you missed while I was missing in blogging action. 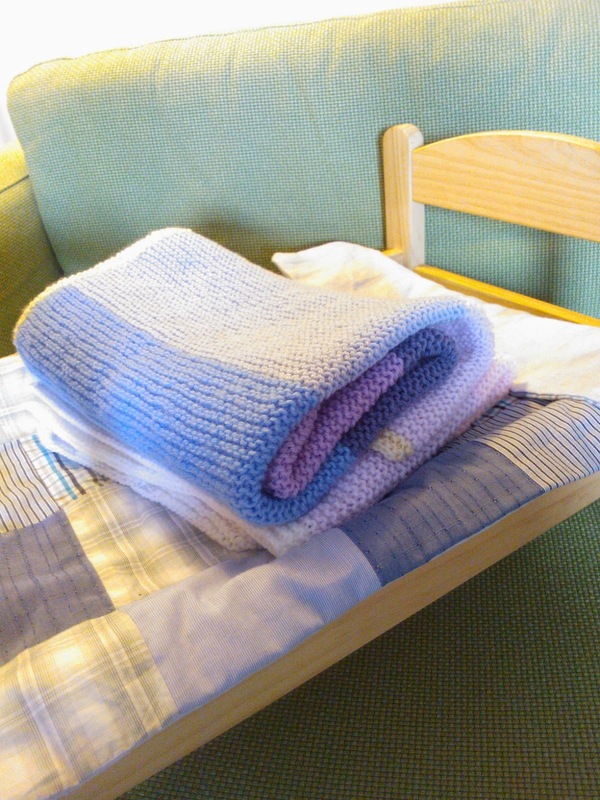 I started a new business, and had a bit of a crowdfunding adventure. If anyone wants to hear more about our experiences, let me know and I'll blog about it. It's going pretty well, and it's been great working as part of a team with a fellow creative person, and a supporting cast of fantastic designers. 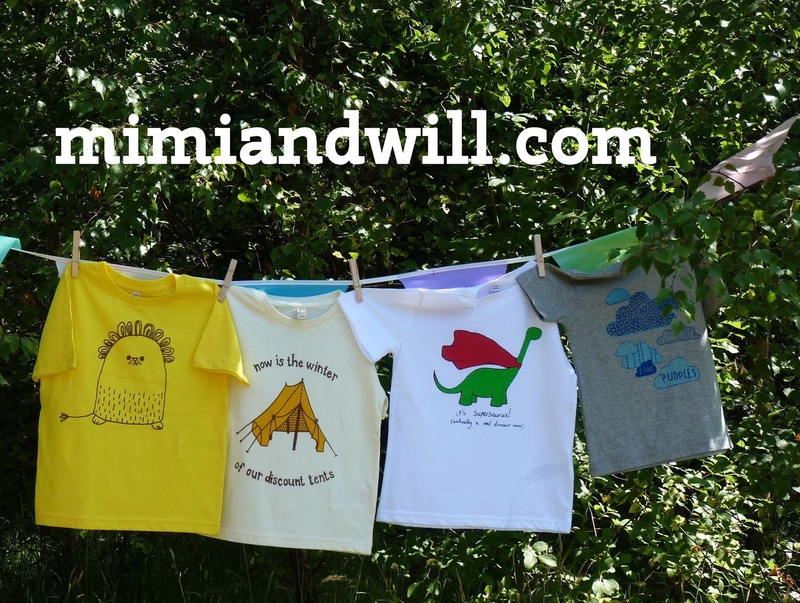 We are launching our online shop any day now, and the first batch of orders will be sent out very soon - they are being finalised by the printer as I type! 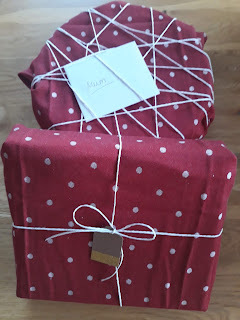 I took more than 50 orders at www.girlindustries.etsy.com - a large percentage of which were custom orders for a combination of last-minute and forward-planning brides. This kept me busy! November has been quiet so far, so if you wish to order a package of envelope seals/custom stickers, multiple packs of confetti for your big day, or other elements of table decoration or packaging, now is a good time to get in touch about your requirements. I've been working full time in my day job, and have had to scale down my freelance working at least until Christmas. I am not sure what the new year will bring, but for now I can take on short-life projects like online shop support and proofreading/editing work and usually turn these around within 48 hours. I have been continuing to destash my craft room and although you can't really tell to look at it, I have made a serious dent in the level of supplies I've been holding on to. I still have a long way to go, but plenty of projects underway to help me with it. Now the room has to be even more multipurpose than ever, I need to use the space more flexibly and in a more organised way. I can feel another eBay binge coming on, I hope they have a free listings day soon! I've signed up for two fun swaps over the Christmas period. 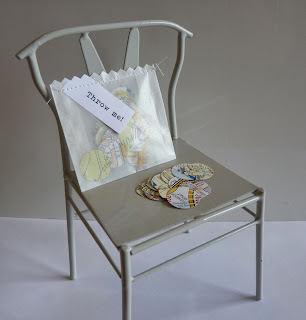 The first is organised by Oh Comely magazine and I have been partnered with someone who is going to be so fun to make for. 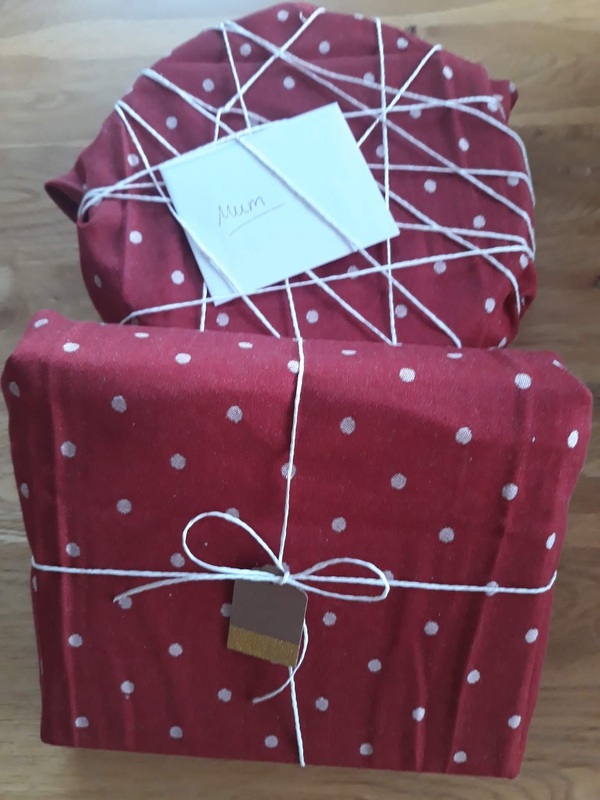 A mum-to-be with a love of all things vintage. I have the perfect gifts in mind. 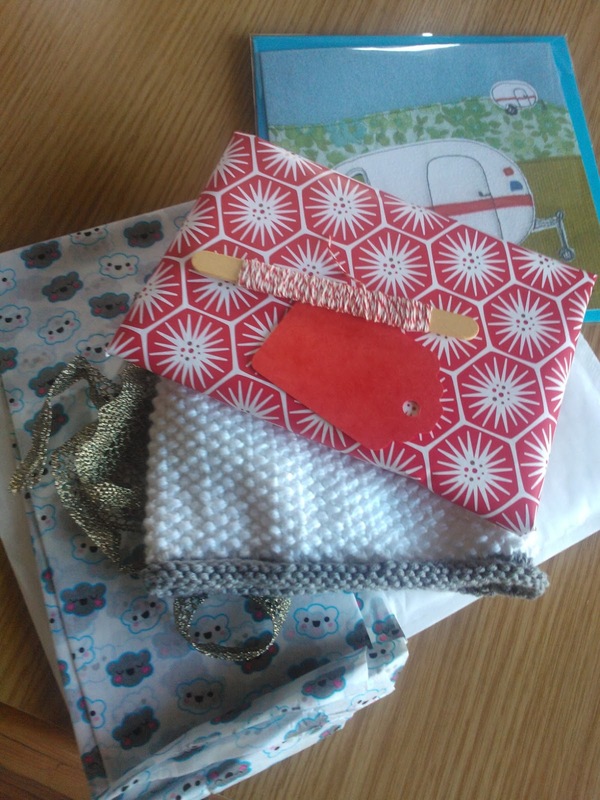 The second is a decoration swap organised by Laura over at Dropstitchblog. 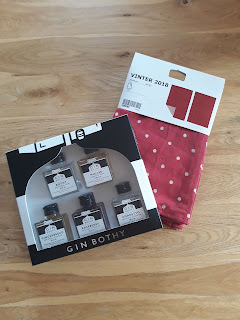 I have no idea what I'm going to make, but you can still sign up for the swap until midnight this evening, I think, so get involved! I've been reading Posie gets Cozy a lot and feeling inadequate, so I try to only read it now and again, and treat it a bit like a made up world. I do love that blog (and I loved making Maggie Rabbit, and A enjoyed helping and seeing Miss Maggie come to life) and I'm grateful to Alicia for sharing her life. It also reminds me of being on honeymoon in the Pacific Northwest, of real seasons and time to sew, knit and cook to my hearts content. I've also been a bit more sociable lately, and have been to craft fairs, meeting up with friends, having family days out, and this week I'm even going to a gig. Which will no doubt make me feel super old, and I will be driving, and trying to cope with an early morning the next day, so possibly not the best idea ever but I am looking forward to it! So this is why I've been so busy lately - working on a new project with Jo of StellaMyStar. Nearly ten years ago now I had a conversation with a fellow crafty type about creating a line of children's t-shirts, but I couldn't create the necessary artwork myself (no skillz) and the artist I first approached to collaborate with didn't see how their work would translate to a t-shirt format, or how someone could sell t-shirts outside of a traditional clothing store setting - why sell online? Won't people need to try them on first? 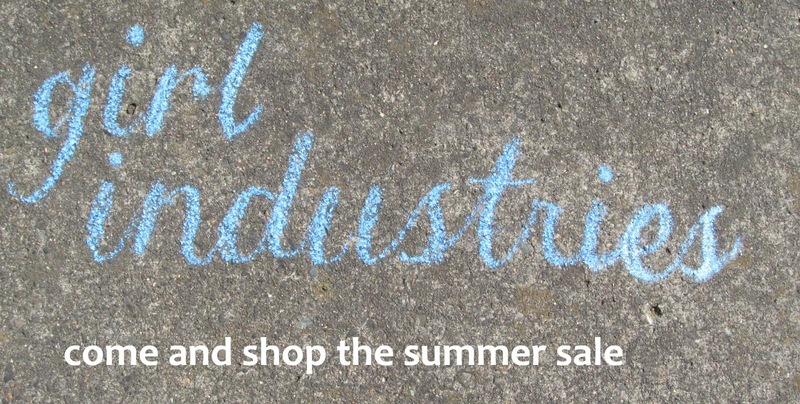 Well luckily the independent handmade sector in the UK has changed a whole lot since then! Fast foward a few years and suddenly everything fell into place. After many years of running my own businesses and a few more years of working with crafters, artists and designers in Glasgow and beyond, I was in the right place to get started. 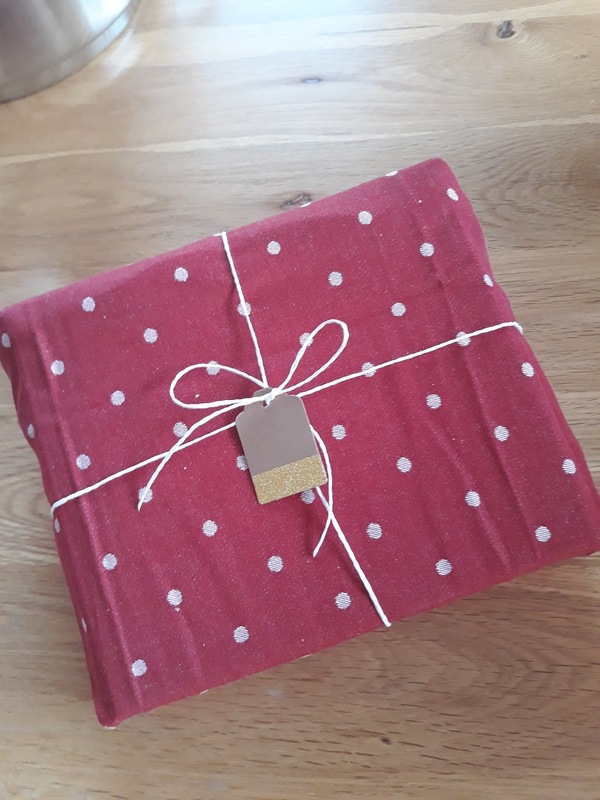 Jo and I put our heads together last July and we started planning - it's been a long time in the pipeline, but somehow time speeded up on itself last week and all of a sudden we were ready to launch - and to make sure our t-shirts will be ready to post by the start of December! Up until the middle of last month, only our designers and our immediate family knew what we were planning, and now we are ready to shout it from the rooftops. 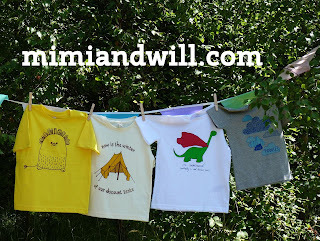 You can find out more about the project, and how to buy from our first collection of t-shirts at the Mimi and Will website at mimiandwill.com and you can pre-order from our first collection here - the best part is you don't even have to choose which shirts you want straightaway, which is great because we have lots more shirts lined up to release before the end of October. Please share our links with anyone you know who has children or might need child-shaped Christmas presents! and p.s. 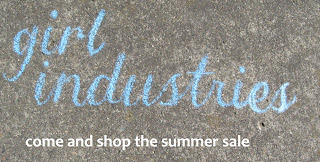 - Girl Industries isn't going anywhere - so shop with confidence! I'm having a huge sale in my Etsy shop right now to clear inventory and let me make room for lovely new things from September onwards. As more of the older stock clears, I'll be adding a few surplus supplies I have to my Etsy shop. I have big things planned for the shop! I'm planning to continue with stickers, tags and more paper goods but I want to work in my favourite colour palettes and work more on a themed basis, in tune with the seasons, and with trends. I'll still be keeping it as upcycled, green and eco-friendly as I can, but I want to make my range more stylish and more coherent. I want to work towards bringing my customers a great visual shopping experience while retaining the quality of a great product and the price of a great buy. I'll be discontinuing my current envelope range, but you can always ask about custom orders if there's something you'd like me to make for you. 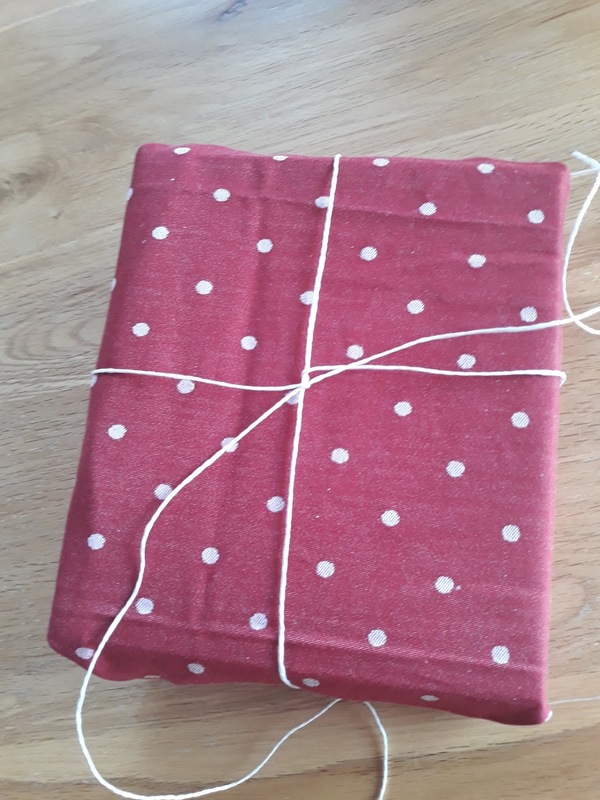 I'll keep the zines in my shop too, and I have a new one drafted up that I just need to typeset and choose the cover for, and we're good to go! Oh, and I still do work to proofread and edit listings, and remotely manage a range of online marketplace accounts, so get in touch if you'd like to talk about those services. The main reason I'm scaling back on the Girl Industries shop is that the other work I have on at the moment (full time day job, a carefully built up freelance portfolio from when I did not have a full time day job, and a new additional business venture on the horizon) is becoming too much to manage alongside such a diverse mix of products and supplies - not to mention trying to fit in a home and personal life. By scaling it back a little, I can cut myself some slack, I hope, and try to find more of a balance between everything. Every purchase you make from the shop will help me towards that goal, so if there's something you've had your eye on for a while, there's never been a better time than right now to pick it up! 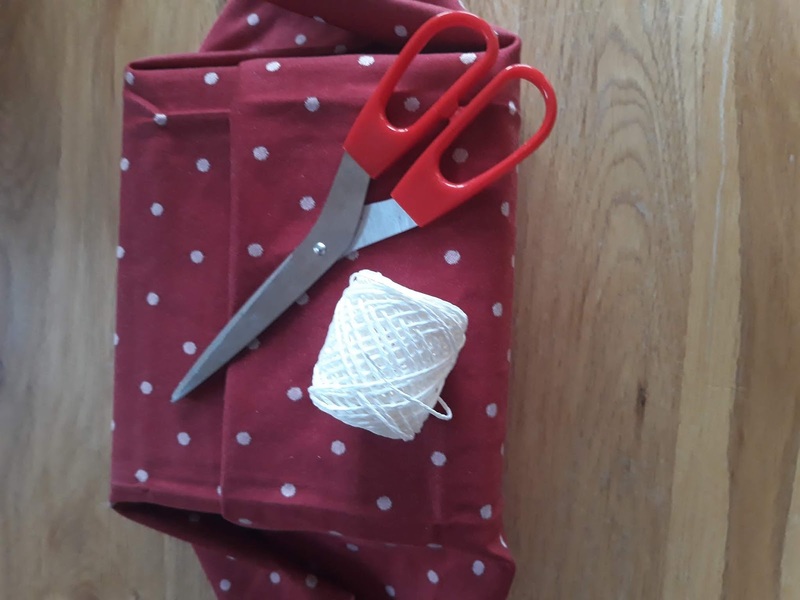 I know a lot of my crafty pals and readers are in a similar boat at the moment, so what are your top tips for finding balance in your life? Drop me an email to katy at girlindustries.com I'd love to hear from you!